In case you missed it, last week Tech Impact hosted its first national conference, Tech Forward, in Nashville, TN. Tech Impact created Tech Forward for the nonprofit community to engage, learn and envision how technology can transform the way we work as nonprofits. Content was handpicked to cater to nonprofit employees in varying roles looking to use technology in a more effective way. 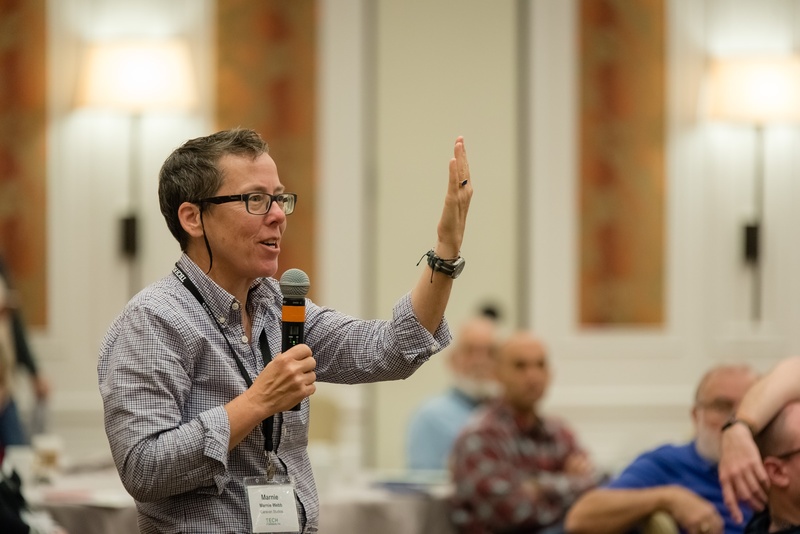 The Tech Forward Conference provided a forum to encourage discussion on the need to shift away from operational IT and towards mission-focused and transformative applications of technology. Chris Patten, Director of Data Management & Enterprise Analytics from City Year, Inc., took the plenary stage after Shiza to describe how City Year strives to be an organization that uses data analytics to improve outcomes. The first round of breakout sessions were packed with attentive nonprofit leaders, the eagerness to learn was almost tangible. Marnie Webb led a fantastic, interactive session "Working Together for the Greater Good" and Chris Patten took the speaker mic once again to help his audience dive deep into practical strategies for creating change in technology teams. After a morning of engaging content comedian Don McMillan of Technically Funny took the stage during lunch with the goal to get attendees laughing, and he did. After lunch, two more rounds of breakout sessions flew by. 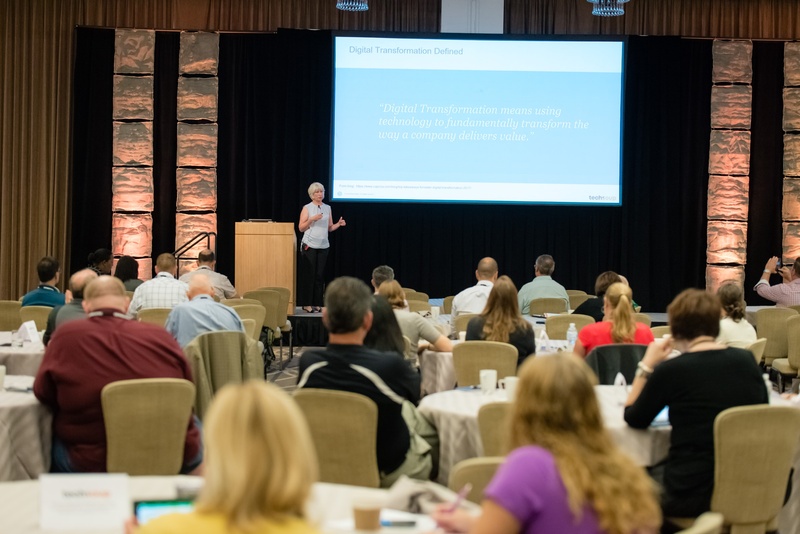 Attendees tuned into Karen Graham from Idealware to learn how to innovate programs through technology, Robert Cheetham to dive deeper into data visualization and big data. Sam Chenkin from Tech Impact led an IT security panel. Leon Wilson from the Cleveland Foundation spoke about the importance of funding technology innovation in nonprofits and Cody Damon from MediaCause explained how to build and activate digital communities. Then, the first plenary panel of Tech Forward, "What Is Digital Transformation to a Nonprofit?" was moderated by James Rooney from Microsoft Philanthropies. 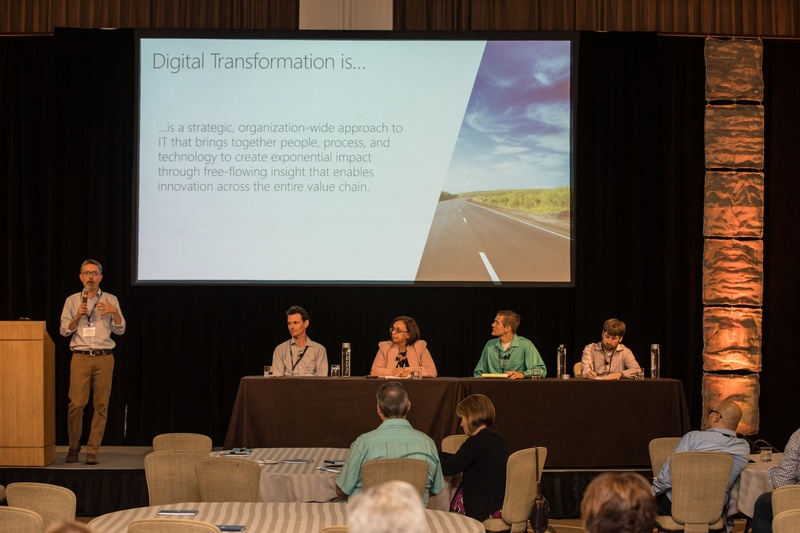 Ryan Rief of the Water Mission, Khuloud Odeh from The Urban Institute, James McGowan of Greater Baton Rouge Food Bank and David Danylewich from Right to Play were panelists who shared their experience leading their nonprofits through digital transformation. After the Digital Transformation Panel, Patrick Callihan, Executive Director of Tech Impact, presented the Technology Innovation Awards. 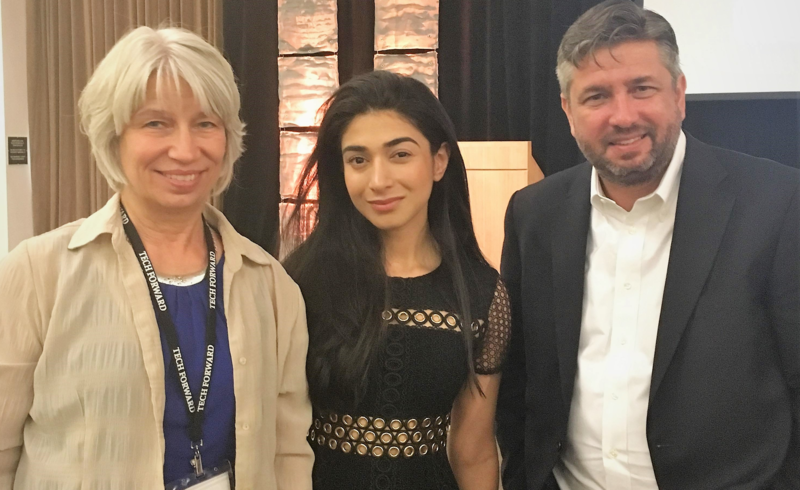 Three nonprofit leaders were awarded $10,000 each by the Tech Forward partners to put towards their nonprofit's innovative technology projects. 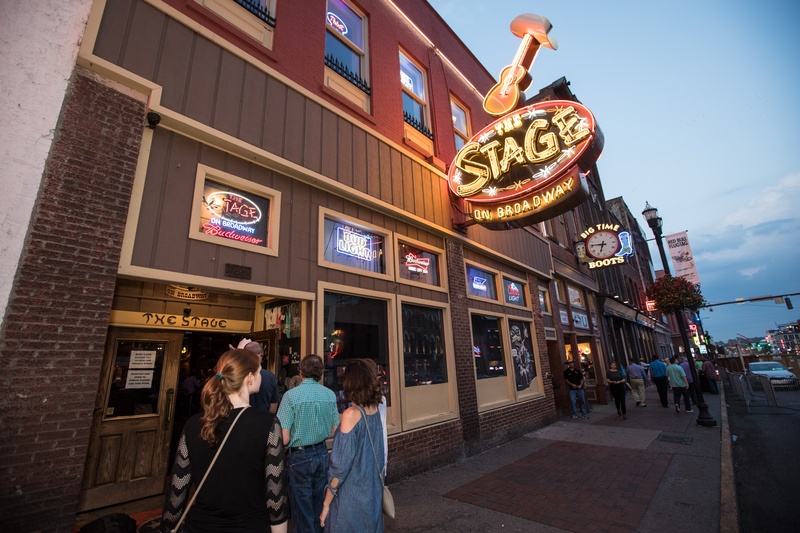 The first day of conference content ended with a bang - the Tech Forward party at the Stage on Broadway in downtown Nashville. The Tech Forward team, partners, speakers and attendees enjoyed an evening filled with southern food and entertainment by the famous honky-tonk band, the Eskimo Brothers. Attendees had the opportunity to network with one another, speakers and partners, in between two-stepping! Although the party at the Stage was a hit, it did not keep attendees from showing up early for the second day of content. Rebecca Masisak, CEO of TechSoup, led a thoughtful and important opening plenary address, "Strategic Allies: How nonprofit leaders and their tech talent are transforming organizations." Attendees' eyes were glued to the stage as Rebecca shared her unique experience and expertise. Jean-Louis Ecohard, CIO at the Center for the Digital Nonprofit, took the mic after Rebecca to present his innovative ideas on how nonprofit leaders can enhance teamwork and connection among remote workers through practical tactics. JL's insights captivated the Tech Forward audience. Momentum to learn and engage was not lost throughout the second day. Both Jean-Louis Ecohard and Sam Chenkin led breakout sessions focused on digital skills for collaboration and data visualization. The last scheduled session of Tech Forward was one to wait for - a funders' plenary panel moderated by Leon Wilson, "Hear it from us: corporations and organizations making a sector impact." 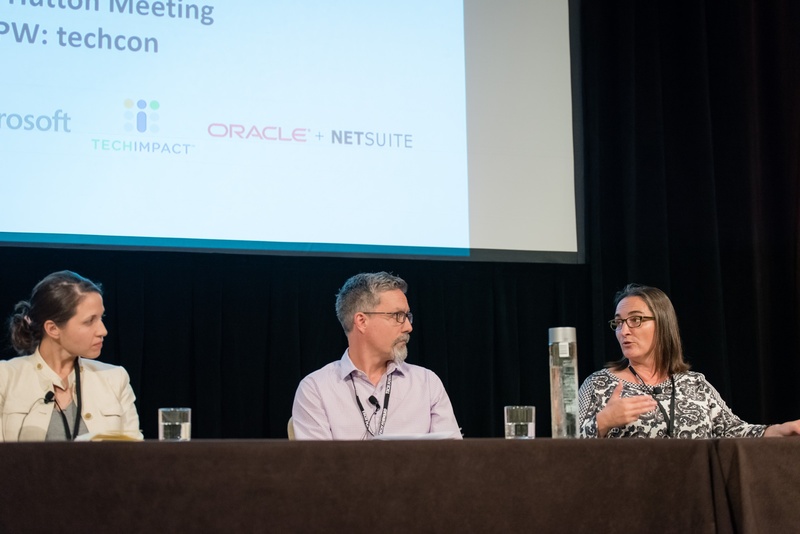 Leon prompted James Rooney from Microsoft, Peggy Duvette from Oracle + NetSuite, and Kristin Teti from the Taproot Foundation to share how their organizations fund technology innovation in nonprofits. The first Tech Forward Conference was a huge success. Tech Impact would like to extend a special thank you to our partners, TechSoup, Microsoft and Oracle + NetSuite, speakers and panelists, and all conference attendees. It was a privilege to host such a wonderful group of change makers. Stay tuned in to our blog for more in depth stories from Tech Forward 2017, including speaker highlights, Technology Innovation Award winners, and more.